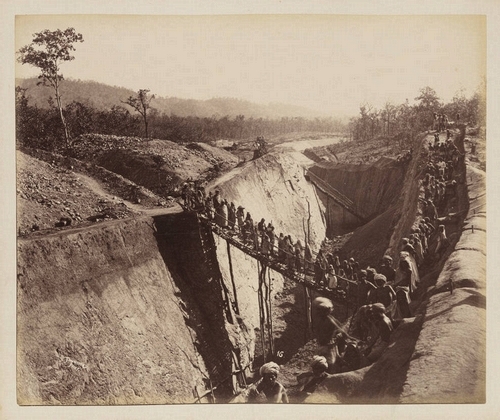 This photograph is part of Album 1, entitled, 'Bengal-Nagpur Railway, 1890." Album 1, which contains 45 albumen prints, is part of a two-album set depicting the construction of the Bengal-Nagpur Railway, ca. 1890-1897.